Sheffield is a water city. It owes its name to the River Sheaf (“a clearing by the river“), one of five notable streams through the city. It owes its historical wealth to the water mills powering cutlery and steel industries from the fast and steep flow. Its historical layout was defined by the topography – the contours of the hills and valleys carved out by water. Water is celebrated subtly today to any visitor arriving at Sheffield’s railway station. The fountains and water features adorning the “golden route” walkway up to the city centre remind us of this watery heritage. Water features at Sheffield Station – the city celebrates its watery heritage in recently regenerated areas. Image by author. And yet, just like many towns and cities around the world, it has largely turned its back on the streams that flowed through it. This is a story of the “urban stream syndrome“. I will tell this story as a journey along Sheffield’s Porter Brook, a tributary of the River Sheaf. The general story is applicable to almost any urban watercourse, in whichever town or city you live. 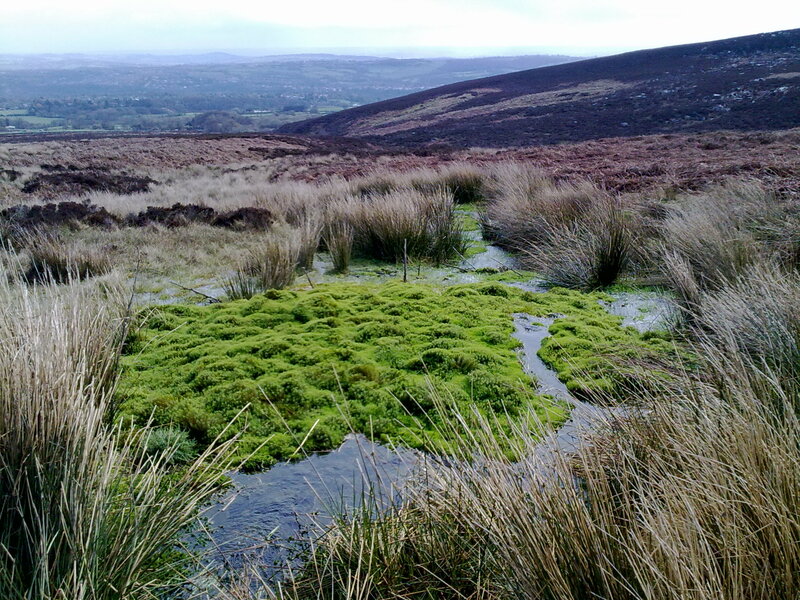 The Porter Brook rises on the eastern edge of the Peak District, collecting rainwater drained through the moors, and out from clear springs. Some of these springs were sacred to past pagan societies, and provide cool clear baseflow to the brook, even throughout dry summers. The Porter Brook winds through farmland, picking up flow from more springs. Rainwater runs off over fields to join the brook, collecting with it sediment and nutrients. In some places, the brook is crossed by small roads, and is piped beneath them. In other places, the watercourse has been straightened along the edge of fields, but for the most part, and like most watercourses, it has formed historical field boundaries for hundreds of years. God’s Spring rising on the edge of the Peak District, overlooking Sheffield. The Porter Brook sources from similar nearby springs. Image by author. As the Porter reaches the outskirts of the city, historical modifications for the water mills become apparent. From its 10 km journey from source to where it joins the River Sheaf in the city centre, there were 21 mill ponds serving around 19 water wheels during its peak in the 19th century. Remnants of these old heritage features still exist, with some of the flow being held back into lakes that look as though they’ve always been there. Porter Brook at Sharrow Mills, the flow held back in a tranquil mill pond. Image by Warofdreams, Wikimedia Commons. Between the few remaining millponds, the brook becomes increasingly confined and restricted as urban development spilled into the valley and close to the edges of the banks. Major residential areas nestle within the Porter Valley – sometimes the brook is given space and prominence in open parks, occasionally joined by other small rivulets. But more frequently as we continue downstream, the water is piped below roads, and hidden behind and beneath buildings. Urban development creeping up the edges of the Porter Brook, and frequent bridges. Image by Lodestar, 28DaysLater. Buildings turned their back on the Porter Brook, when historically it had become a polluted eyesore (open sewer), and built right to the edge of the channel to maximise development space. Image by Lodestar, 28DaysLater. Porter Brook entering the darkness of a culvert, flowing beneath buildings, car parks and roads. Image by Lodestar, 28DaysLater. Culverts encase a watercourse below ground. They are typically made of stone or concrete. Sometimes they are fully circular pipes, sometimes they are a lid over the stream with straightened, engineered banks. Along the 10 km of the Porter Brook, not including bridges(*), there are about 1 km of culverts. Yes. 10% of the river is buried below our feet. Some of the culverts are over 300 metres long. For an urban river, that is quite common. (*Bridges are effectively the same as a culvert, but a culvert is defined typically as being three times longer than it is wide). 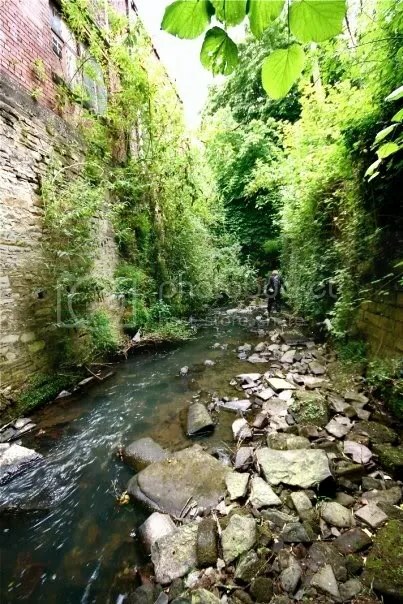 The Porter Brook flows through the Cultural and Industrial Quarter in Sheffield, near the end of it’s journey. This area was once hub of water mill activity. We get a peak of the Porter Brook before it flows underneath a car park at Matilda Street. Here it is severely degraded, with heavily modified concrete channels and banks. 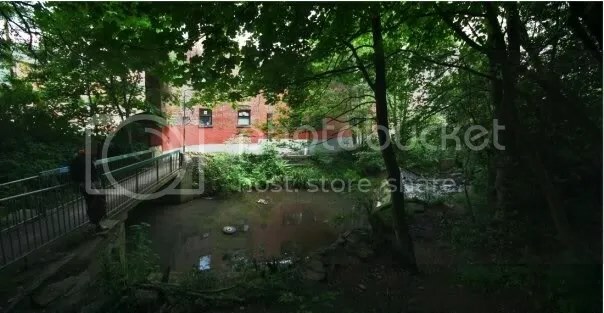 To the citizens of Sheffield, the Porter Brook is a hidden, forgotten stream, hard to recognise from its natural beginnings in the countryside (just a few kilometers upstream), seemingly devoid of life and interest, a place that attracts rubbish and pollution. It is only noticed when it floods occasionally, or by poetic graffiti artists. he last open section of the Porter Brook before it joins the River Sheaf in a culvert beneath Sheffield Station. It is degraded, concrete lined, and treated like a drain and rubbish tip. This is less than 100 metres from the fountains shown in the first picture. Image by author. 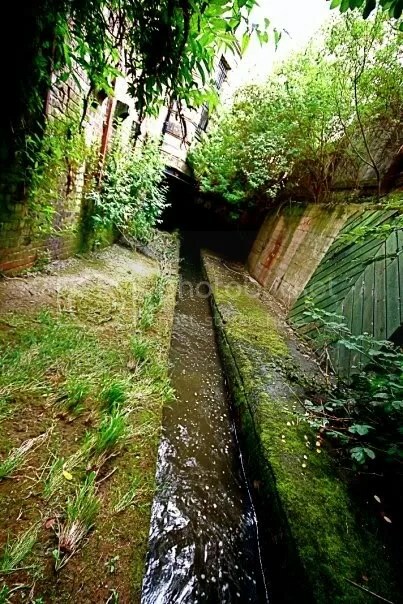 Most people have no idea that the stream is culverted beneath them in many places. How many people have stood on Platform 5 at the station, not realising that Sheffield’s Porter Brook joins with the flow of the River Sheaf in the darkness below, the station elevated above the water on stone Victorian pillars? To many people, the Sheaf Valley at this point is all but invisible beneath the concrete of the city. The Sheaf and the Porter flow in culverts all the way to the River Don, where at last they reach the open air again. Not before they pass through the “Megatron” – a culvert so large and impressive, it has featured on a list of most impressive caves. The Megatron. The Porter Brook joins the River Sheaf in darkness beneath Sheffield railway station, and they flow hidden in this huge Victorian storm drain. Image by dsankt, SleepyCity. Sheffield is a water city. The city sleeps, but the springs and streams still flow beneath us. This is the same story in many towns and cities around the world. London, Toronto, New York, San Francisco, Tokyo, Paris, Zurich and more are all beginning to rekindle an interest in lost urban rivers. Lost urban rivers might be physically hidden in culverts beneath our feet, or they might be just psychologically hidden from view and forgotten about. So now you know. Keep a look out for a lost urban river near you. This entry was posted in Ecology, Geomorphology, River restoration, Urban rivers, Water Framework Directive and tagged environment, land-use change, nature, Porter Brook, restoration, science, Sheffield, stream management, SuDS, urban river, Urban stream, urbanisation, URS, Water Framework Directive. Bookmark the permalink. 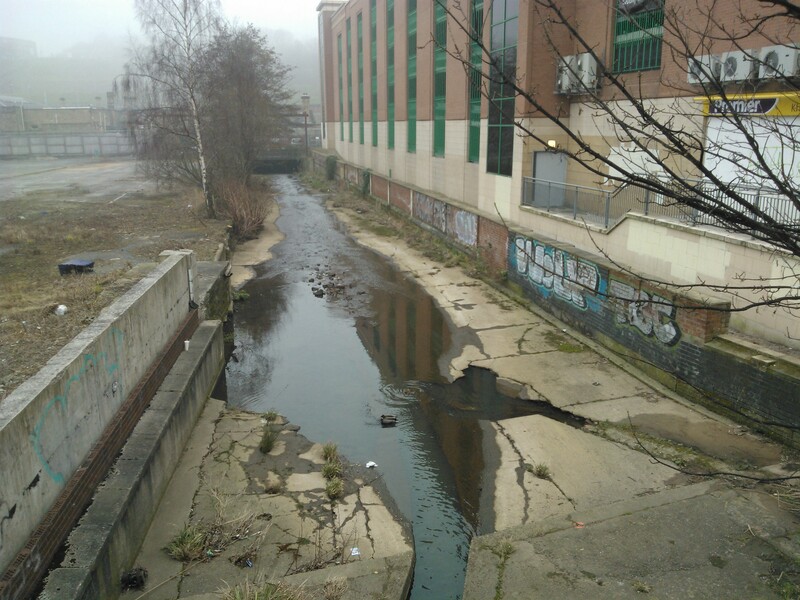 A fascinating account of Sheffield and one of its rivers…. Thanks for that info, I have just returned to Sheffield after many years away and am seeing things I never saw when I lived here, ie, porter brook, I noticed it for the first time last week when I saw it flow under the railway station, I must have passed it a thousand times in my youth and not given it a second thought, fascinating stuff. Chcialbym powiedziec, ze ten artykul jest niesamowity, to swietnie napisany i informacje o prawie wszystkich znaczacych. Chcialbym wiecej zobaczyc postow jak ten.